This spy story of 1915 by John Buchan (1875-1940) is an archetype of the genre, but may be better known today through its film and television versions (especially that of Alfred Hitchcock in 1935). Curiously, although all keep the theme of German espionage which will trigger a world war, none of them sticks at all closely to Buchan's original plot. This is the first of five novels in which Richard Hannay, formerly a mining engineer in colonial Africa, now a patriotic gentleman of leisure, finds himself pitted against the enemies of the British Empire. Although the book is an exciting, if occasionally implausible, adventure story, it may be marred for a modern readership by the racism and anti-Semitism it expresses, though this was not exceptional for the period. 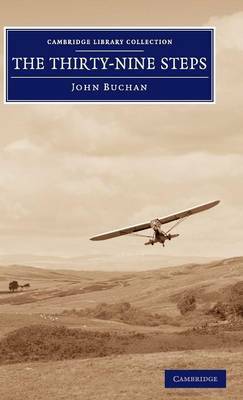 The writing is also noticeable, however, for lyrical descriptions of the Scottish border country in which Buchan himself grew up.